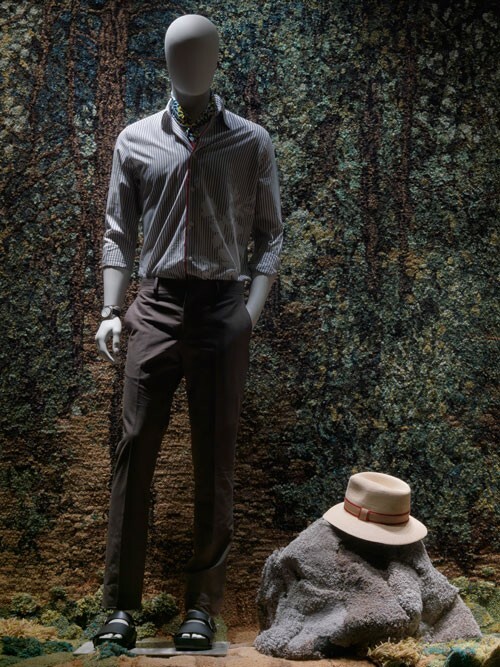 Alexandra Kehayoglou’s collaboration with Hermès Athens, which heralds Spring-Summer 2016, is not fortuitous. Being the granddaughter of Greek immigrants, the artist recalls the inspirational words of Cavafy, hoping that her ‘voyage (to Greece) is a long one’. 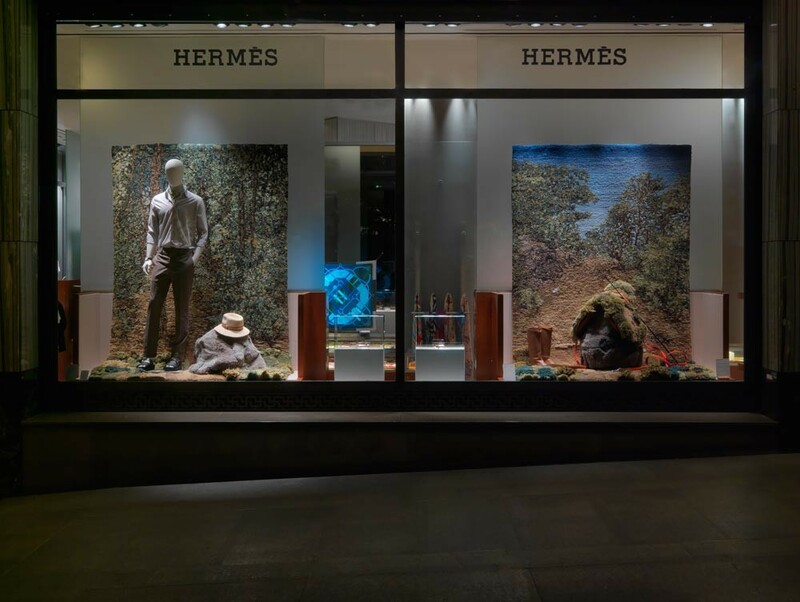 Kehayoglou’s concept of ‘My Ithaca’ takes shelter in Hermès’ spring season window display as of May 17 2016. 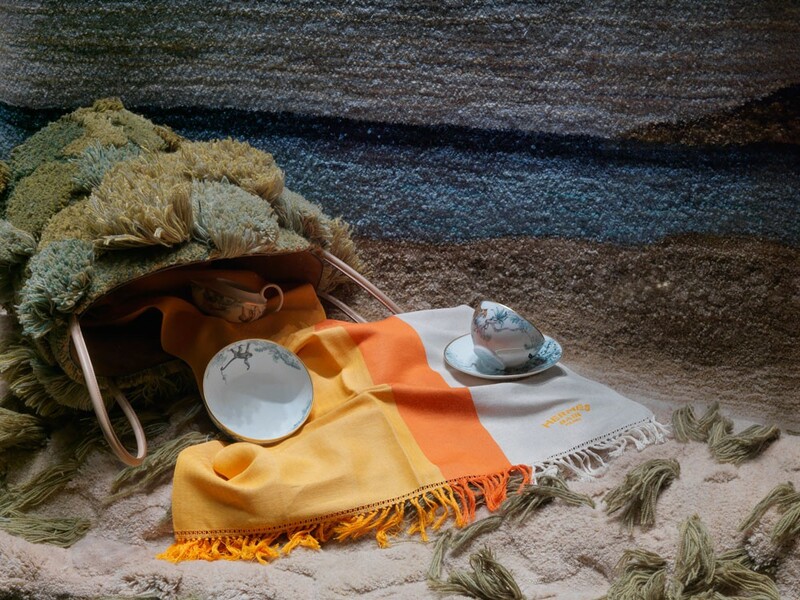 Born into the first family of rug weavers in Argentina, the artist has always had a soft spot for nature, coupled with a resolve to weave as many landscapes as possible in faith that our natural world stops vanishing. Kehayoglou weaves the textile on a handtuft system using a pistol that she maneuvers in vertical racks to create the weft that yields the ultimate piece. 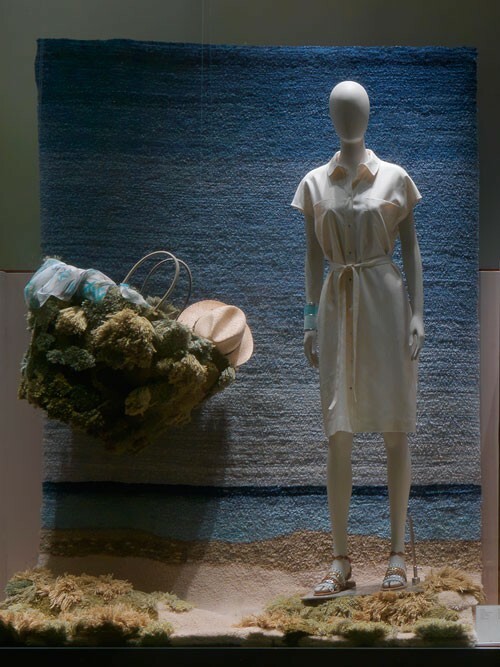 Attuned with Greece’s infinite stretch of tranquil blue, she will transport her ‘Ithaca’ into an entire window display; a Greek island haven. Unquestionably, a dream destination weaver, or so we believe! First, she entices you with a sheltered bay dotted with pink and beige pebbles. Pristine, exuding tranquility at its epitome. 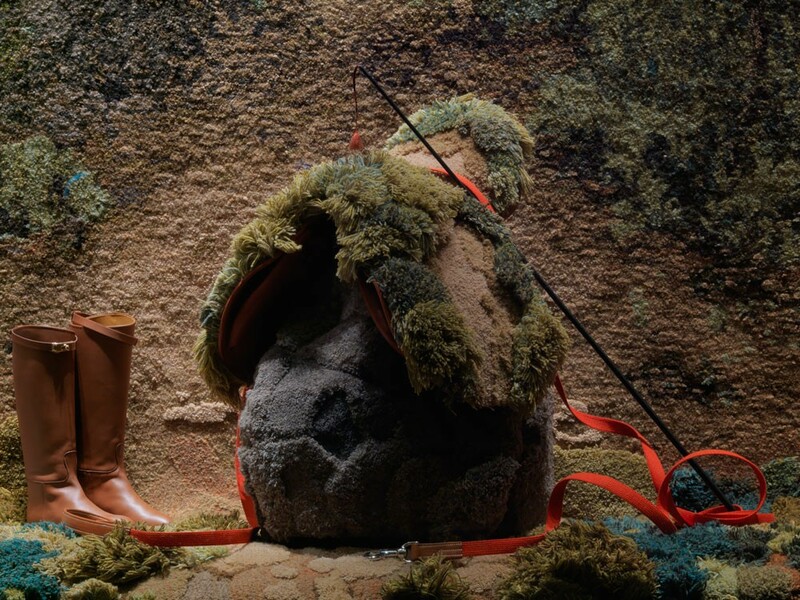 The few Hermès objects that she tactfully drops off in the display window portray the bare essentials of a discerning traveler who seeks solitude and peace of mind; a towel, a bag, a pair of shoes… Traces left behind by the occasional visitor are testament to the trespassing of humans. She then invites you to contemplate on how humans dwell in nature, populating it with unnecessary clutter, interfering with its unspoiled character. 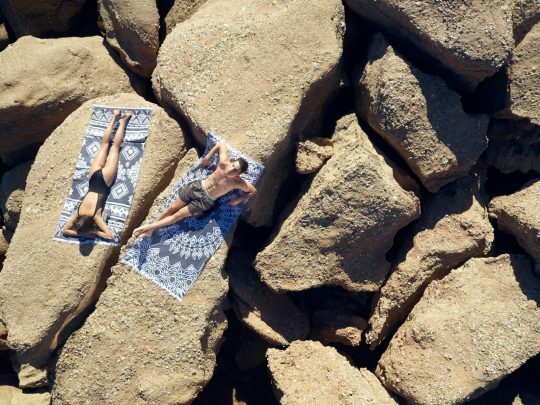 ‘I make rugs to immortalize slices of land,’ she says with enthusiasm. ‘I tuft landscapes because I am in love with them. And I wish to spread that love.’ She finally invites you to pause, take a deep breath and dive into silence. And at that moment, you will find your epiphany- your Ithaca. Passer-bys taking a leisure stroll along the bustling cross of Voukourestiou and Stadiou streets, will be allured to make a stop and ‘register’ their Ithaca. 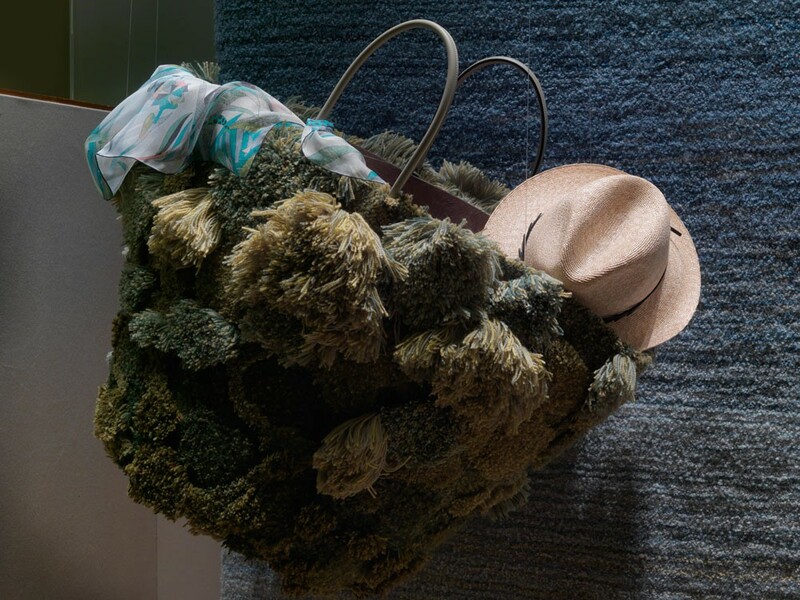 Because, as Kehayoglou says: ‘I love that my rugs become a register of lives lived’. 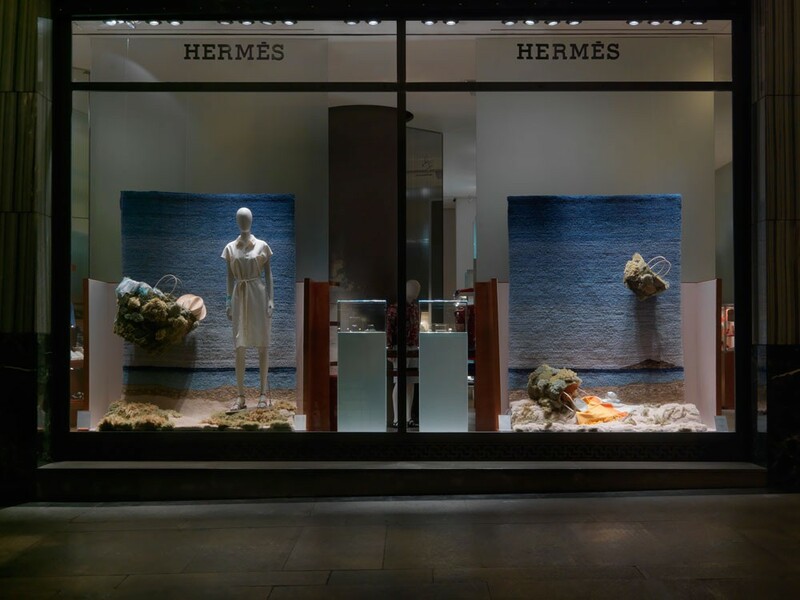 Hermès’ pursuit of creative storytelling prevails in the small cosmos of this display window.